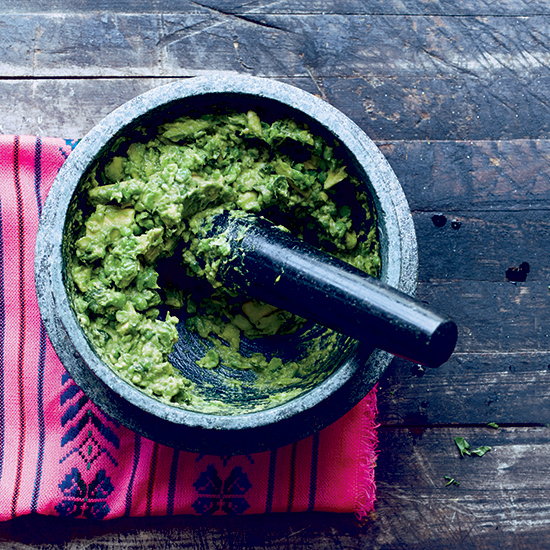 In a mortar, mash the chile with the cilantro. Add the peas and avocados and mash until well blended but still chunky. Season with salt and serve with chips.